An autobiographical account written by our friend and Wolof professor, Moutarou Diallo, who is a former talibé. In the Coran, the holy book of Muslims, you find the word taliban, an Arabic word that means ‘student’, but it also means someone who studies the Coran. For the Wolof people, the main ethnic group in Senegal, receiving an Islamic education is important and as this tradition has developed, the word taliban became talibé. Memorizing the Coran and providing children with a religious education at a Coranic school is a tradition that is common to all Muslims. It is also believed that when the last judgment comes, parents that have not educated their children in the Coran will have to justify themselves before God. For this reason, it is considered a parent’s duty to send their children to daaras, Islamic schools that exist all across Senegal, as well as in all Muslim countries. Senegalese parents believe these Coranic schools are the best place for their children to learn the morals of the holy Coran and also to receive an education in life. The objectives, then, are to provide their children with a good education, to instill in them good behavior, to teach them how to be humble, and how to become a respectable figures in their community. Each Coranic school, called a daara, is managed by a marabout or religious leader that knows the Coran well and knows how to teach it. His role is to teach children to memorize the holy Coran and to teach them patience, suffering, as well as the capacity to be independent, humble and modest. However, over the years the concept of talibé in Senegal has taken on a connotation that is different from its purely religious and spiritual roots: in recent decades, a talibé has also come to imply a child that lives on the street and supports himself through begging. I share my personal story as an example. I grew up in Thiès, a city 70 km from the capital city of Dakar. My father initiated my studies in the holy Coran and my experiences as an student of the Coran began when I was two years old. I began by learning the Arabic alphabet, then moved on to learning to read it, and finally I learned suras so that I would have something to complete my prayers with. When I arrived home after classes at the French school, I had to recite the few verses that my father had written out for me that morning. My father was originally from Guinea but he had a very different mentality than most immigrants to Senegal. He believed that it was important both to be educated in the French school and to learn the Coran from front-to-back simultaneously. My education at the French school was always a top priority for both my father and me. I could not have imagined stopping French school. However when it came time for summer vacations, my father placed me in a daara rather than allowing me to enjoy my free time away from school. My father thought that I was very rowdy so for three consecutive years, he sent me to a daara that was 15 km from Thiès. I do not remember this period of my life very clearly, but I do know that begging did not exist in this village, and I remember that I lived with my uncle who took care of us. After my third summer as a talibé in Thiès, my father found a new pretext to send me even farther away as he feltI was becoming too big of a burden to be near home. Although I had already memorized a good portion of the Coran, my father thought it necessary only that I continue my studies of Shar’ia, the Islamic laws. So he sent me to Dakar in order to learn the Coran and the Shar’ia at the house of my uncle who was also a marabout. 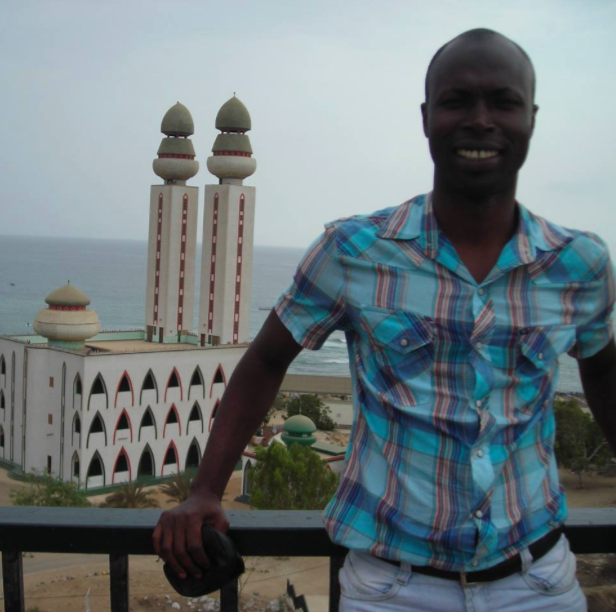 In Dakar, things were much different for me as a talibé. I learned the Coran, but I also begged daily. Even though my case was an exception in many ways, it is like this for many talibés whose parents decide that their child must leave the house to go learn the Coran far from home. Parents often send their children even farther that I was sent – often they are sent 200 km or more. There are many different reasons that parents make such decisions. Often, they live in extreme poverty and they lack the means to support their children. It is also believed that it is normal and acceptable for children to suffer in life. They say every day that the school of the toubabs (white people) destroys the children’s culture and spirit that are embodied in Islam. Of course, there are many other reasons as well, but they cannot all be discussed here. Although girls do not become talibés, they are still expected to learn the Coran. However they only go to the local neighborhood daara during the day and then return home in the afternoon. The reason for this is that traditionally in Africa, girls stay home to learn from their mothers how to clean and cook. The mother is preparing them for when they move in to the conjugal home of their future husband. For a talibé, the day begins at 5am when we woke up to review what we were taught the night before. These lessons last until 7am when we took our tin cans, the pots, to beg for food and money to give to the marabout.The talibés at my daara were dressed much better and were cleaner than the talibés you see today. Without the tell-tale pot, nobody could have imagined that we were talibés from the way we dressed. The talibé pot is traditionally an empty red tomato concentrate can used to collect items we beg for. We would take off the top off the tin can, wash it and then put two holes on the upper edges on opposing sides and put a metal wire through it to hang around our necks. However, I was ashamed of being a talibé and I was very good at hiding it from the people in the neighborhood so I used a bag to collect items in rather than a pot. We returned to the daara around 11am with rice, sugar, candles, small coin change, and the other things that we had collected. We would sell the small items because the marabout expected us to give him cash daily. If we did not hand in a certain sum to the marabout, we were beaten. In my case, I sold my rice, my sugar and all the rest to a woman from Mali who lived in the marabout’s house. Afterwards we had to write more verses from the Coran and memorize the daily assigned verses. More begging came after that, but for this second round, we would beg for food for the mid-day meal. There was a market next to the daara where there were restaurants and we went there to beg for rice. It was hot and delicious, much better than what was prepared at the daara. At our daara, the wife of the marabout’s younger brother prepared one meal a day, but food she cooked had no taste. The dish that she made the most was white rice with a red sauce. She had to cook for a large number of people and it was the most economic choice. And so, at meal times, you would always hear that she was making ceebu soos (rice with sauce). But we called it rendez-vous en bas (all the way to the bottom) because in reality, the red sauce was just lots of water and barely any tomato sauce or other ingredients. Even after she poured the sauce over the rice, you could not even tell it was there, and we would be looking for the sauce all the way to the bottom of the bowl. All we could do to diminish our suffering and hunger was to laugh while we ate. Before picking back up with our Coranic studies from 3 to 5pm, we would drink the famous Senegalese tea, called ataaya. After this, we would reheat many different plates of rice we had begged for earlier in the day as a snack. We usually had a varied collection of all the different Senegalese rice dishes: white rice, red rice, mafé, yassa, suppu kanja, and domaada. They were all mixed together and many in colors. We quickly learned that we could always count on a couple of houses that we called the plans, or our routes. We knew they would give us charity every day. When I came to one of these houses on my plan, I only had to ring the bell, and the cleaning woman would open the door and give me either rice or sugar, and sometimes even money. We were free until 7pm, when we had to get ready to beg for dinner. Each talibé brought back his own couscous or another dish and we would all eat together and taste all the different couscous dishes and compare which were the best. These were my favorite moments from my life as a talibé. After dinner, we all met up again in the little mosque to pray and then go over the few verses of the Coran we had been assigned for the day. We did a few final verses to memorize them well, but it was a very relaxed time in the day. We would exchange little jokes and laugh in the back of the mosque. It was a true pleasure for us all, and we would quickly let the Coran, our lessons, and the restrictions of the daara slip from our thoughts. We lay down to rest for the night at 11pm to rest before starting the same difficult routine the next day. What I experienced as a talibé is a completely different picture than what you see in the streets of Dakar today. For example, even though my aunt only rarely changed the dish for the mid-day meal, she always prepared us lunch. What we see every day in Dakar is truly unimaginable: there are talibés on every street, all the time. Even at midnight you see little boys begging on the street in front of bars or restaurants. A large part is due to the immeasurable number of marabouts, or should I say the “faux marabouts”, who set up a daara solely to rake in profits off the talibés that beg for them. The main role of the marabout is to teach the holy Coran and to assure that it will be memorized by the children that are in his charge. The child must also learn from the marabout how to live. While the child is in the care of the marabout, he must memorize the Coran, be able to translate it, he must learn the Shar’ia, and he must learn as much as possible about his religion and God. He must also be able to apply this knowledge to every part of his life. The child learns the Coran, it is true, but he also learns about life. This is all good and well, except that the child does not gain a craft or practical skill because his day is consumed by his duties to the marabout. One of the only opportunities that is left to him is to become a marabout himself. In the daara where I was, there were a number of talibés that did learn a skill and some of them went on to become tailors, car mechanics, or bakers. However the only reason they had the opportunity to enter these trades later in life was because they managed to deceive their marabout. Our marabout came in the mornings and in the afternoons he was often not there too looks over us and we took advantage of this to escape. In general, the relationship between a talibé and his marabout is defined by fear. The marabout is a strict figure with a rigid face, and he is quick to hit if the talibé makes a mistake. You never look the marabout in his eyes when you address him and you must always keep your head lowered in front of him. The marabout is not seen as a father figure, but as someone to fear and respect. Waking up at five in the morning is not an easy thing for a child. To obtain money, however possible, only to pass it on to the marabout is far more challenging. You have to walk for hours in the sun and go from house to house, which is often humiliating. Some people give you nothing and call you all kinds of bad things. During the cold season it is the same, with the only difference being that the weather becomes an additional burden because you do not have the proper clothes to go around in the waves of cold weather. Eating means begging, but what you find in terms of food is not always edible. Often we were given only the scraps of what is left from the meal. And consequently, illness and disease are a close companions. Even when it rains, you must beg in the streets. The same tattered shirts and shorts that we wore in the dry season must see us through the rains as well. Often, we wore the same clothes for days and days. Most talibés do not own shoes and roam the city barefoot. Because we slept on the ground, it was always a problem when it comes time to go to bed. I, for example, slept on a dismantled card board box. I felt like a homeless person. When it rains, the water comes in, and you have to try to fall asleep soaking wet. Often, we could not sleep and we were forced to stay awake until the rain stopped. Most talibés you see in the street in the big cities like Dakar and Thiès come from the north, the center and the south of Senegal, and sometimes from neighboring countries. I am from Thiès, only 70 km from Dakar and I had the chance to go home once a month to see my family. Sometimes my mother would come to visit me and gave me new clothes. This alone was a big difference from the other talibés. Also, our daara was very different from the others because we did not wander around the streets at night when there is a lot of crime. Currently, most of the talibés in Dakar do so. They stand in front of restaurants at all hours and you see them stop people to ask for money. My daara was an exception in many ways. We were spared many trials, even though we certainly had plenty. We were clothed and able to change our clothes, and if a talibé was sick, we brought him to the health center that served our neighborhood. Currently though, there is no longer this same guarantee of a certain standard of life at my daara. The hygiene is poor, the food is often rotten, the children fall ill and no one brings them to get medical care. This is the situation for most daaras across the country. For me, yes, the experience did have some good aspects. First of all, I knew that my time as a talibé would always be short. I was a talibé only during the summer and only until I was 15 years old. Out of all of those years that I was in the daara, I only had to beg for three summers. And so, it was not as hard for me to be a talibé as it was for others who were destined to be talibés all throughout their childhood and adolescence. In many ways, I benefited from these experiences. For example, I conquered my timidity. I was a very quiet and shy person, but because I was forced to learn how to beg, I overcame my inhibitions. I learned to overcome suffering and to look life straight on. I was also forced to learn how to be flexible, to be humble, and to take consideration of the value and meaning of other people’s lives. I gained the experience necessary to take control of the hardships in my life and to learn to be satisfied and content with what I had. Respect is another thing that you have to learn as a talibé. After my experiences as a talibé, I saw in myself something genuinely different. Living through experiences that are not shared by most of my peers at the French school, I felt that something was missing for them. The French school seemed to me, a much more of a simple building and an easy way of life. For example, when a professor punished us, unlike the other students, I was never bothered by these punishments. This was because at the Coranic school, I received beatings that were much more severe and painful. Thanks to these experiences, I learned to overcome and succeed in any situation. If I am in a complicated situation from which there seems to be no escape, I am determined to get out. As a talibé I learned to believe that no matter what bad situation you are in, you will finish by overcoming it if you have an iron will. You learn to say, “I have seen things harder than this and these new trials are nothing to me.” No matter how my life may change, even if I were to become very wealthy, the lessons I learned as a talibé would stay with me. However, I must say that I would never send my children to be talibés. I truly believe that it is bad. No one can provide an education for your children better than you can. In my opinion, it is handing off your responsibility as a parent to a marabout. A child needs to feel affection from his family. The education that a child receives from life within a home holds no comparison in this world. Recently, my father sent one of my younger brothers to be a talibé in the same daara I was in without telling me. When I found this out, I went to my father to persuade him to let my younger brother come back home. It was not easy because my father was bent on removing him from the French school to send him to Coranic school exclusively. I continued to persuade my father until he finally took my brother out of the daara. It was a long and bitter argument. In the end, my efforts paid off, and my father’s eyes have been opened through my testimony. Since then, he has never tried to send another of my brothers to the daara because now, he too believes that it is not the answer. Now, at my home in Thiès, my younger brother and sisters attend French schools in the morning and the afternoon. After each French class, they go to the daara during the midday and at the end of the day. It is better like this, and the children benefit from it. My sister is proof of this as she completely finished memorizing the Coran and she is only 15 years old. She surpassed me because, despite of the years I spent in the daara, I never finished memorizing the entire Coran. There are men that call themselves marabouts only to profit from the talibé system and to earn money on the backs of children. It is a virtual black market that reaps in the profits from child labor. Imagine having 10 children at your service. Each talibé is required to bring in 500 Fcfa ($1) per day, so at the end of the month you have amassed 150,000 Fcfa ($300). In Senegal, this sum would allow you to live an easy life. Now imagine a marabout that has 50 talibés through whom he gains his living. It is easy to see what attracts people to set themselves up as marabouts and to hound parents who are weighed down by poverty and are cut off from outside resources or information. Perhaps now it is easier to understand why there are so many talibés in this country. There are many marabouts that go to the villages where the parents are poor and families have ten or more children with the goal of collecting more laborers for themselves. The responsibility of the families who give their children to marabouts must be addressed. A way must be found to enforce some kind of punishment on the parents and marabouts that treat their children in this manner. It must also be impressed on parents just how big of a responsibility children are. It requires lots of hard work and planning to raise children, if you decide to have them, you must take on the responsibilities that follow. Providing your children with an Islamic education is not an excuse to ignore the practical skills that are necessary in life. It is possible to send your children to a Coranic school and French school at the same time without turning them into talibés. I know it is possible because I have done it myself. Today, I am a Wolof and French language instructor in schools for American university students who are studying abroad. All throughout my education in the French system, I have studied the Coran at the same time. The current system of the talibés does not work and serves no good. It exploits children and deprives them of their freedom and basic rights. Currently, the daaras function anarchically without respect for children’s rights, their health, education, security, and any kind of practical training for the future or training in leisure activities such as art or sports. Health is also neglected and there is a common lack of respect for even the most basic rules of hygiene. Over time, the system of the talibés will change, as it is neither sustainable nor acceptable, and hopefully it will even disappear. In any case, the situation must improve. If there is goodwill and money available, this system could be brought under control. 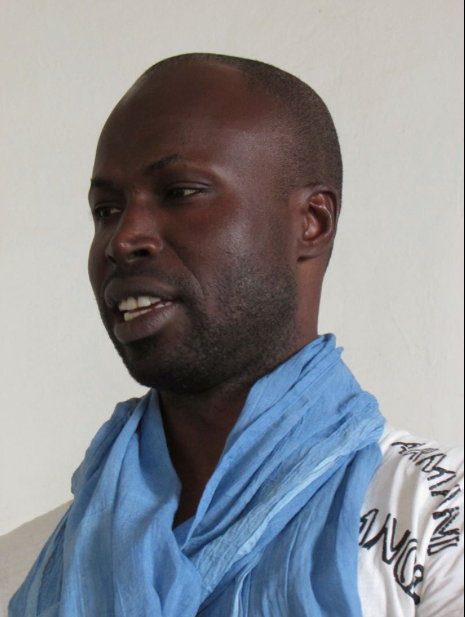 Thank you, Moutarou, for sharing your story with us. We are praying with you for change to come and that each of us will be willing to do what is needed to bring it about, and in the meantime that we will care for the talibés on our streets. Thank you Moutarou! I studied at SIT with you many years ago (2008) – you are a wonderful educator, and this story of your experience was really informative and interesting. Hope you are well! Thank you for sharing your story Mr Diallo. It was very interesting. Thank you for sharing this, Moutarou! When studying in Senegal in 2014, I always wanted to learn more about your experiences as a talibé. Now I know more about the institution as a whole, too. (The subject was always kept somewhat opaque by taboo and cultural barriers.) Thank you for putting things into perspective, and bless you for playing an active role in keeping children out of harm’s way! Thank you, Moutarou, for further educating us by sharing your story. Blessings to you and your family.